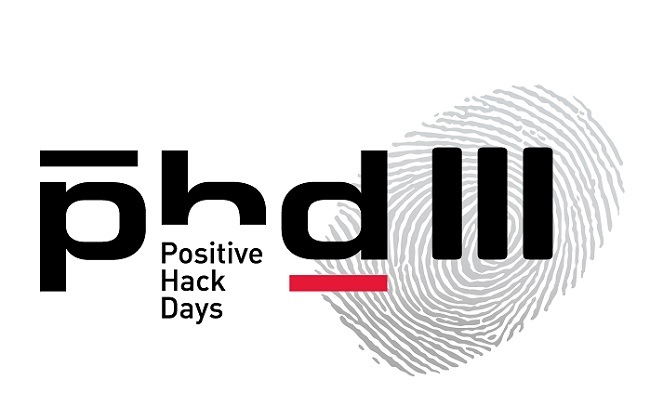 ThePositive Hack Days III guests will enjoy not only interesting reports, CTF contests and competitions, but also numerous hands-on labs. The PHDays hands-on labs are practical tasks that are held under the slogan 'Deeds, not Words'. Under the guidance of the world's experts in information security, the audience will go deep into the topic and solve practical tasks on information security issues. To take part in the hands-on labs, you just need to have a basic grounding, thirst for knowledge and all the necessary equipment (laptop, RFID reader). This hands-on lab covers issues of ensuring web application security throughout the whole development cycle. It touches upon hands-on approaches to detection and elimination of code vulnerabilities. Such approaches comply with the recommendations of Microsoft Security Development Lifecycle. The hands-on lab will be interesting for web application developers and researchers, who want to gain experience in secure code construction and in security analysis of projects by means of white-box testing. It is based on Microsoft ASP.NET (Web Pages, Web Forms, MVC, Entity Framework, SignalR), however, it hardly focuses on environment features, so developers and researchers specializing in other web technology stacks may be also interested in it. Each vulnerability class is exemplified by zero-day vulnerabilities in well-known products, web engines and vulnerable web applications. In the course of the practical part, the most interesting attacks as well as all considered practices and techniques of code handling will be demonstrated. Presented by Vladimir Kochetkov, an expert of the Positive Research Center (Positive Technologies). Specializes in web application source code analysis and Microsoft technologies security research. Develops automation tools for web application security analysis. A member of the PHDays HackQuest developers team. Contributes to the project of development of the Nemerle programming language. Presented by Miroslav Štampar, a professional software developer and security researcher. Currently a PhD student there with majors in security and parallelization. Earned a prestige Microsoft Certified Solution Developer for Microsoft .NET certificate in 2007, and from that time he has been working for AVL (www.avl.com), the world's largest privately owned and independent company for the development of powertrain systems with internal combustion engines, as well as instrumentation and test systems. To satisfy his urge toward security related subjects, he is one of the developers at the widely used open source project for automated detection and exploitation of SQL injection flaws called sqlmap (www.sqlmap.org), constantly developing and improving it since December of 2009. Presented by Alexander Sverdlov, a professional security consultant and trainer. He created and presented the 5-day “Computer Crime and Fraud Prevention” course for Moneybookers (Skrill) and a custom course for ING Insurance Bulgaria. Participated in IT security audits, managed vulnerability reporting and remediation for Microsoft Windows servers, Unix servers and Database servers while working for HP Global Delivery Center EOOD. Alexander is a CEH, CHFI, MCSE and MCTS certified specialist. The author of numerous articles on information security. Some case studies will also be considered, using different methodologies and lessons learned related to reverse and social engineering. Presented by Nahuel Grisolía. He is a 27-year-old researcher from Argentina. Specializes in Web application security and hardware hacking. He has discovered vulnerabilities in McAfee Ironmail, VMWare and Manage Engine Service Desk Plus, and also in free software projects like Achievo, Cacti, OSSIM, Dolibarr and osTicket. He has delivered trainings in a number of conferences around the world: BugCON (Mexico), H2HC (Brazil), Ekoparty (Argentina), OWASP events (Argentina), etc. He is half of an Information Systems Engineer and holds a CEH and a private pilot certification. Presented by Anton Dorfman, a teacher and docent in Samara State Technical University (SSTU). He is an author of two academic programs: "Hardware and Software Information Security" and "Protection of Computer Information Processes". He has been an organizer and playing coach of SSTU student teams partaking in CTF competitions since 2009. Teams' achievements: 1st (Magic Hat) and 3rd (0DEADBEEFh) places in the regional competition Volga CTF 2011, 2nd place in Volga CTF 2012, 11th place in the international competition iCTF 2011 (4th result among the Russian teams) together with the team Koibasta SSAU, 22nd place in RuCTFE 2012. Anton was the third in the contest Best Reverser at PHDays 2012. Presented by Artem Shishkin, an information security specialist at Positive Technologies. Having started from system programming and obtaining the certificate MCTS: Windows Internals, he still focuses on Windows OS research, its internal mechanisms and vulnerabilities. Artem admires the kernel, pool corruptions, and synchronization. Doesn't like Intel SMEP, tries to avoid it. Presented by Artem Chaikin, the lead specialist of the web applications security analysis team at Positive Technologies. Presented by Vyacheslav Mavlyanov, an information security expert at Positive Technologies. P. S. For more information about the forthcoming hands-on labs, about reports and speakers, please visit the PHDays website. P. P. S. Tickets are available here. This is my first time go to see at here and i am genuinely pleasant to read everything at one place.Keep writing informative and useful post like these one. A commitment of thankfulness is all Hadoop Training in Chennai together for sharing this profitable web journal. Learn Oracle Training in Chennai French as a second vernacular is truly imperative for expert moreover understudies. So join our and get more information about French. A debt of gratitude is in order for sharing this Hadoop Training in Chennai useful web journal. Learn French as a second dialect is truly valuable for expert and also understudies. So join our and get more information about French. phdays first yhands on labs nice posts..
Great post. May be you can create a list of items rather than paragraphs. Descargar pubg gratis es muy facil. compartir esta espectacular post!!! La verdad es que me ha resultado fácil entender esta post, Obstante puedes buscar siempre todos los desafíos de fortnite para completar los correctamente y conseguir todas las bien bonificaciones. No tiene por que pero la verdad es que Comprar alarma domotica para tu hogar esta bien, y si no sabes lo que es la domotica tambien. I am really happy to visit this blog. This is very wonderful. Great update.